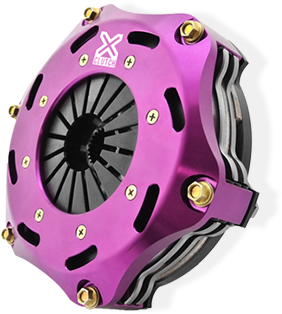 The 7.25" motorsport range is designed to provide a lightweight, high torque capacity solution for race vehicles such as used in time attack racing. These are available in single disc, twin disc, triple disc and quad plate with a ceramic friction material. These kits are popular in high horsepower vehicles that use sequential gearboxes and the lightweight design improves engine response.